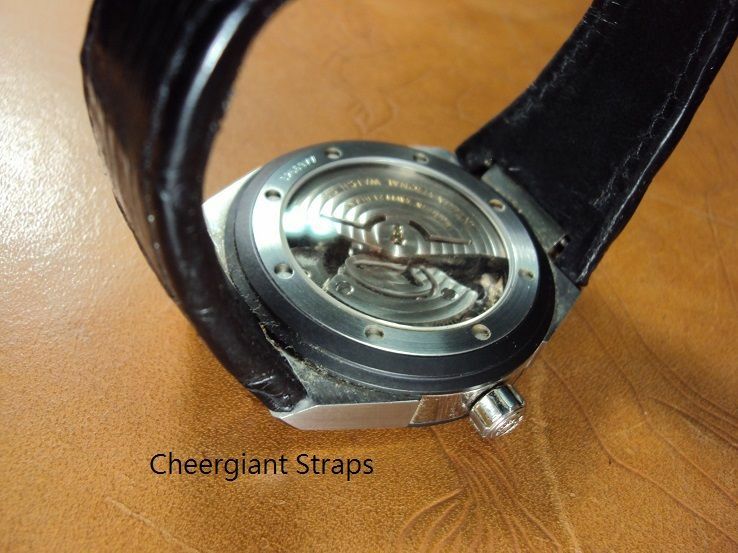 Here are some custom straps Svw691~699 include IWC Big pilot,IWC Ingenieur Automatic Ceramic,Jaquet Droz,JLC Reverso,Louis Erard,Mido,OMEGA Railmaster XXL custom straps which have sold by way of some custom strap orders. 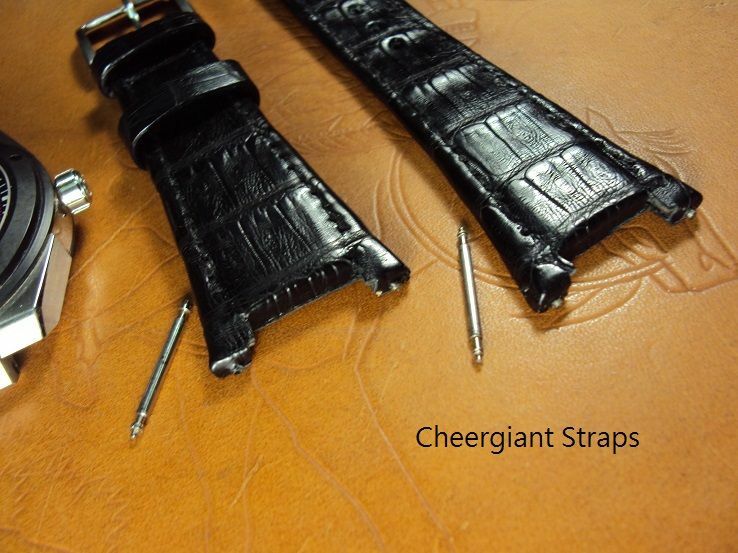 Svw691, IWC Big pilot riveted black crocodile strap, 21x18mm, 52x145mm, thick 5.6mm taper to 2.4mm, black stitch. 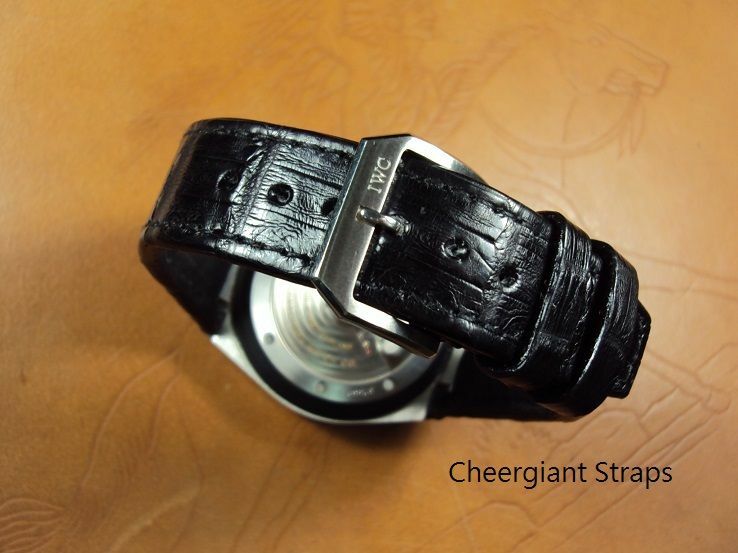 The IWC Big pilot riveted crocodile belly strap is priced at $ 200 USD, it charges the promotional price at $ 150 USD. 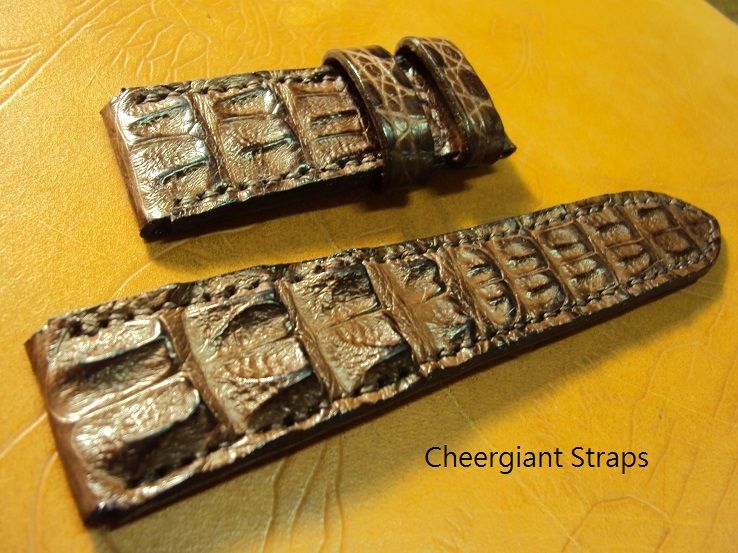 Shipping for worldwide Express Mail Service please plus extra $15 USD. 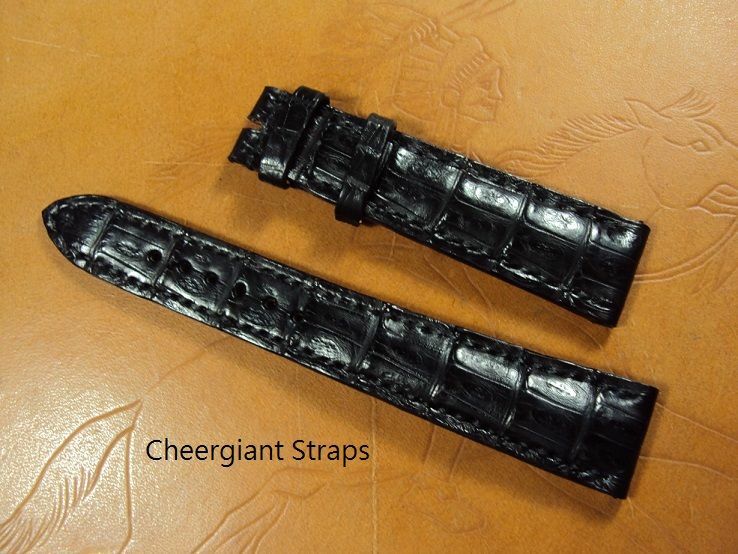 Svw692, IWC Ingenieur Automatic Ceramic black crocodile strap, 18(28)x18mm, 75x115mm, thick 4.5mm taper to 2.8mm, black stitch. 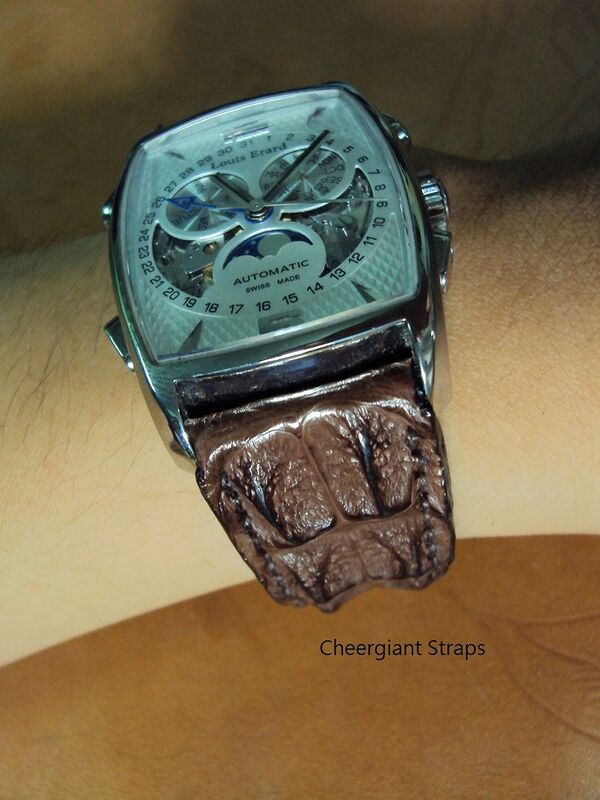 The IWC Ingenieur Ceramic crocodile custom strap is one of the most difficult hand made leather watch strap. 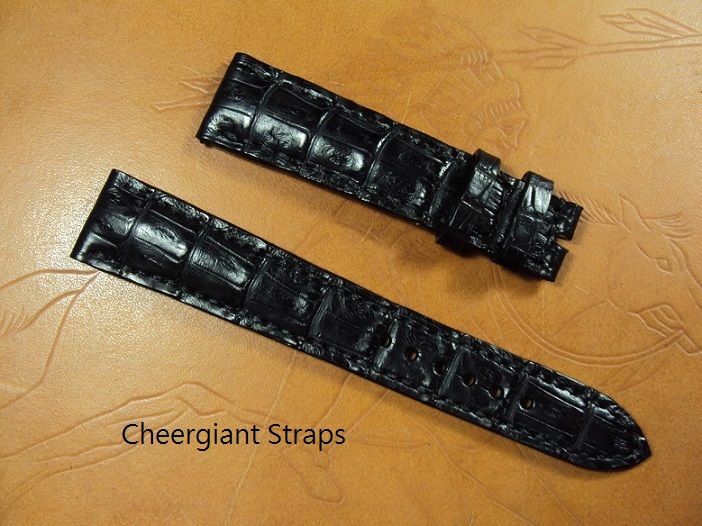 And I need the particular metal inserts of the IWC Ingenieur Ceramic old strap to produce the middle metal insert layer of the new custom strap. 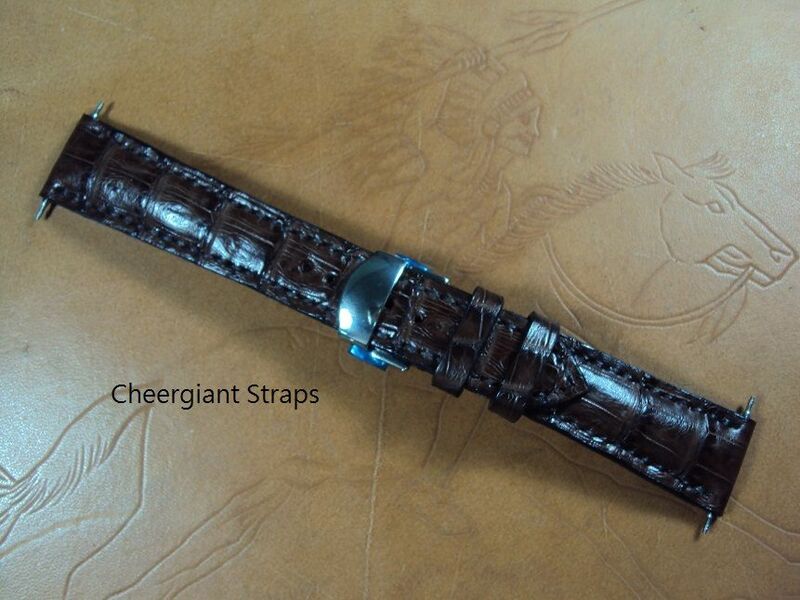 Either an IWC Ingenieur Ceramic OEM old leather strap or an old kelvar type strap will be OK. 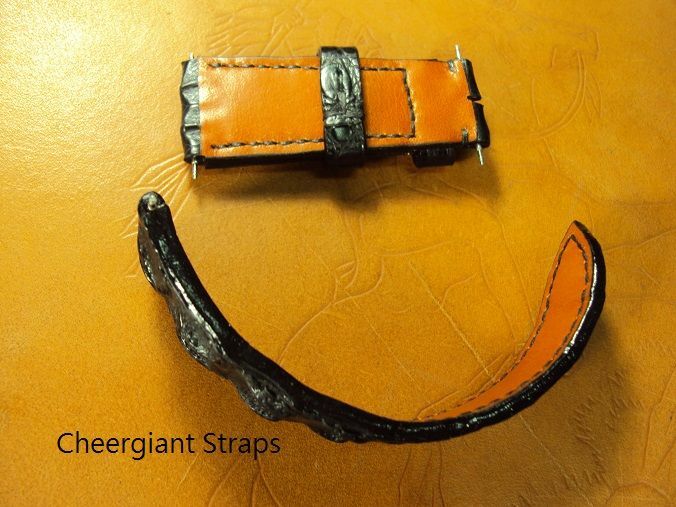 Therefore, our IWC Ingenieur Ceramic crocodile strap will be more durable, clean and anti-allergenic during the wearing period. 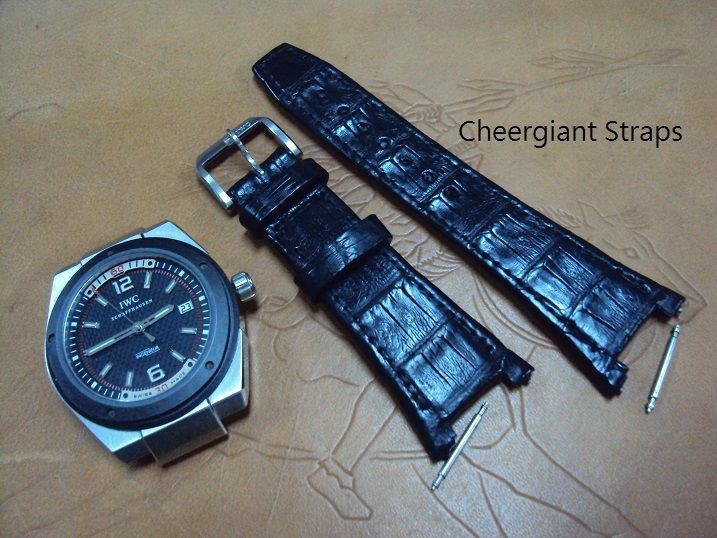 Please notice that this IWC Ingenieur Ceramic custom black crocodile strap service is limited only for sending me the IWC Ingenieur Ceramic old strap that has worn. 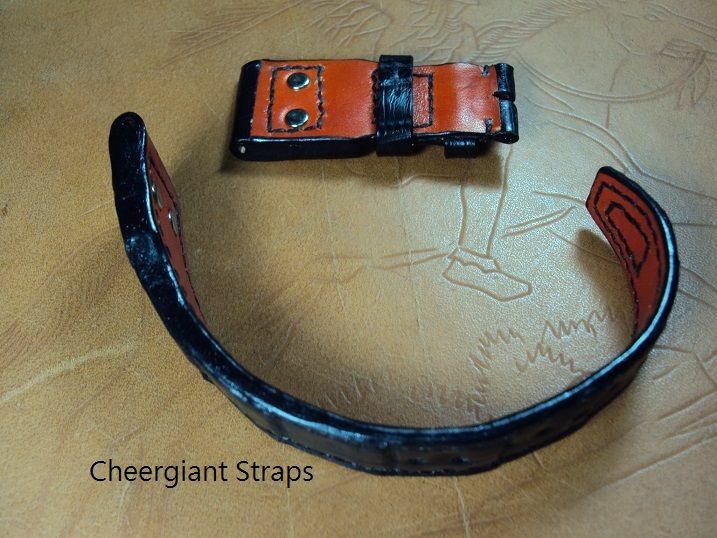 Either an OEM old leather strap or a old kelvar type strap would be fine for producing the new custom strap. 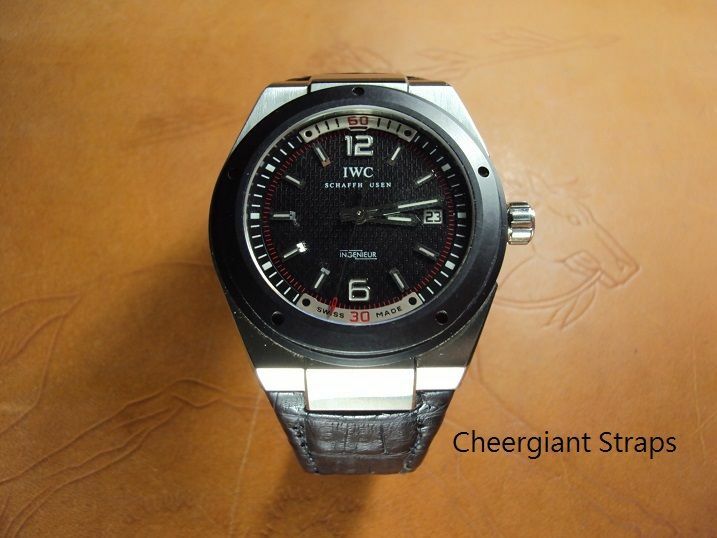 The IWC Ingenieur Automatic Ceramic black crocodile strap is price at $ 400 USD, now charges the promotional price at $300.00 USD. 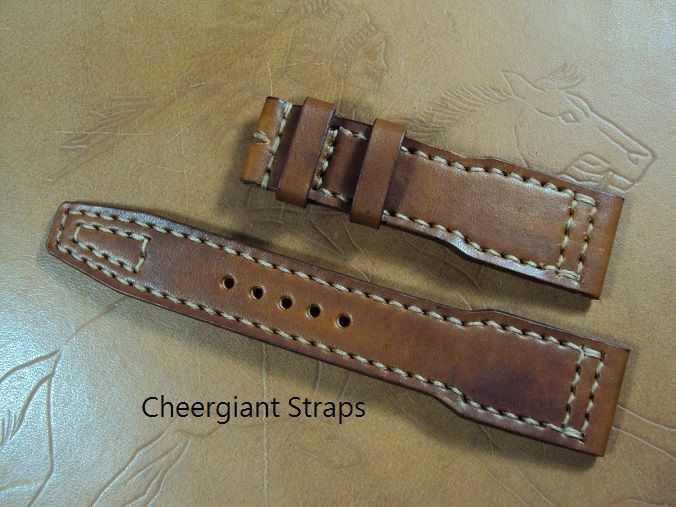 Shipping for worldwide Express Mail Service please plus extra $15 USD. 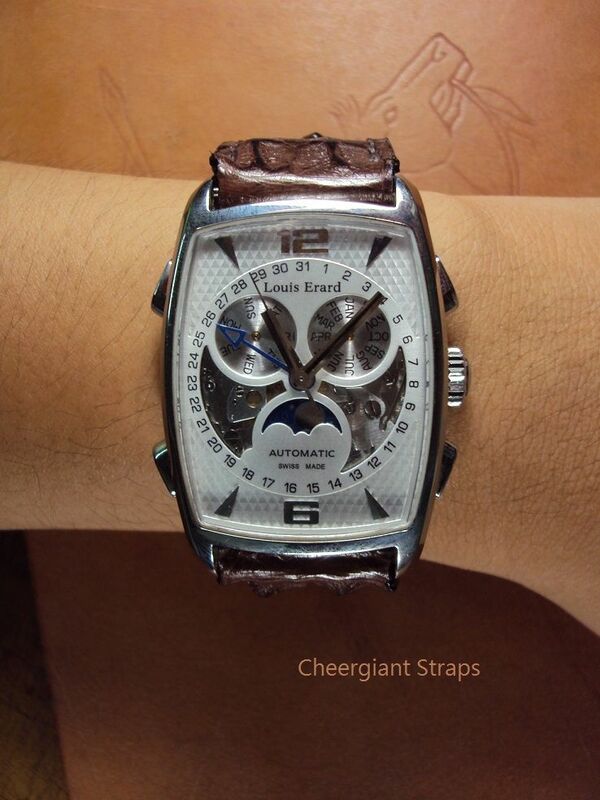 Svw693, IWC pilot watch honey brown vintage leather strap, 21x18mm, 75x120mm, thick 4mm taper to 3.0mm, cream stitch. 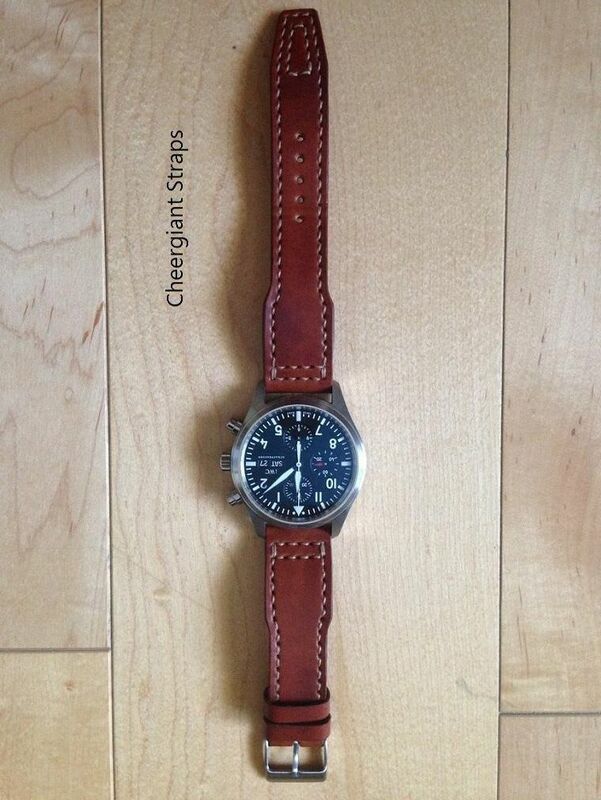 The IWC pilot watch leather strap is priced at $ 130 USD, now charges the promotional price at $ 80 USD including registered airmail worldwide shipping. 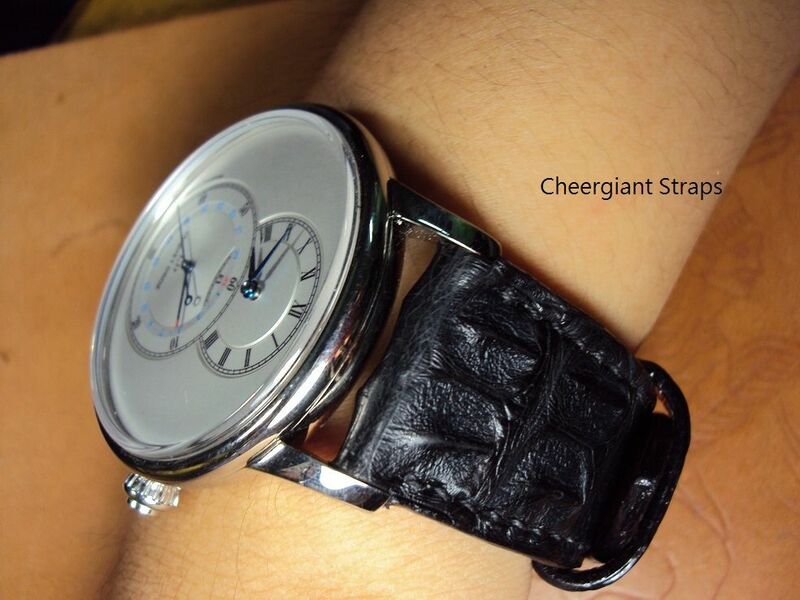 Svw694, Jaquet Droz black big horn crocodile strap, 24(22)x20mm, 60x118mm, match stitch. 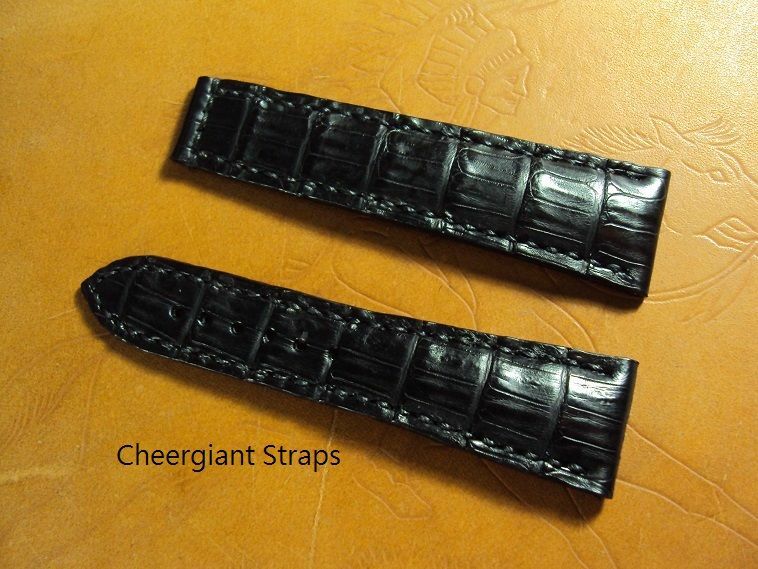 In fact the big horn croco strap was made of some pieces of authentic leathers include the front big horn croco skin, the middle calf pad and the British calfskin lining. 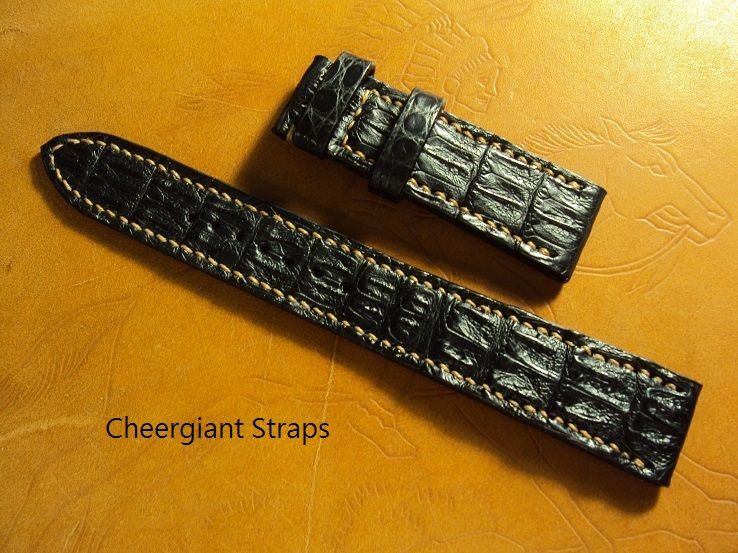 The big horn crocodile strap is priced at $ 270 USD, it charges the promotional price at $ 220 USD. 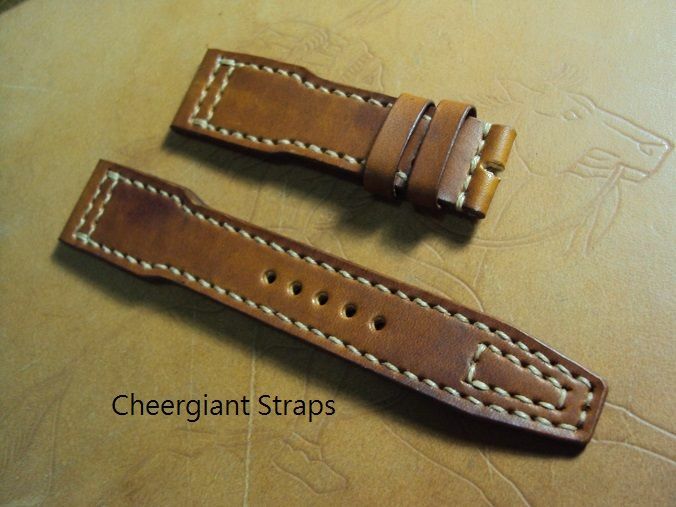 Shipping for worldwide Express Mail Service please plus extra $15 USD. 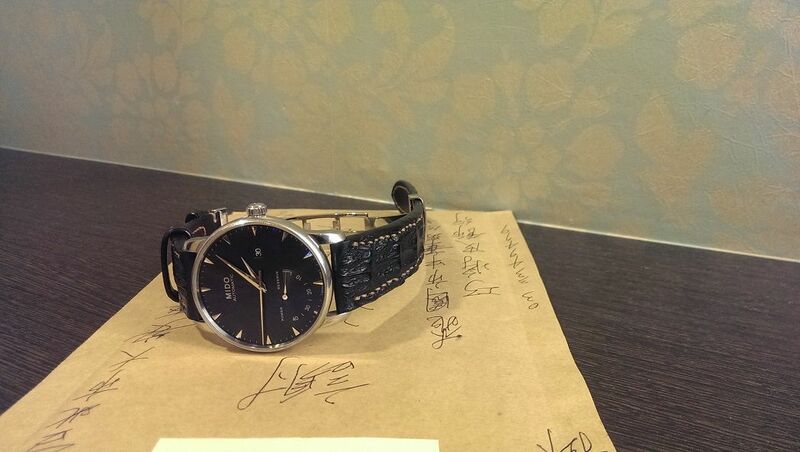 The price is due to the particularly difficult producing process. 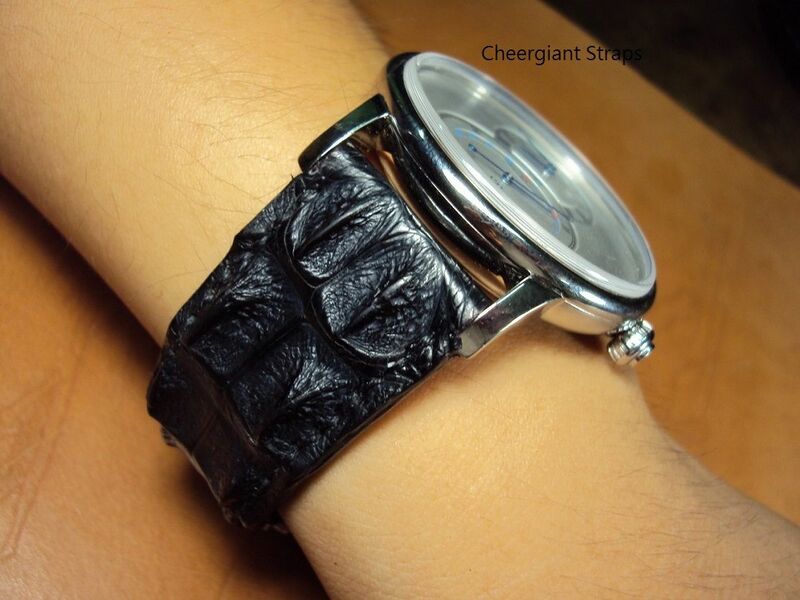 Besides each piece of crocodile skin can only make one big horn croco strap. 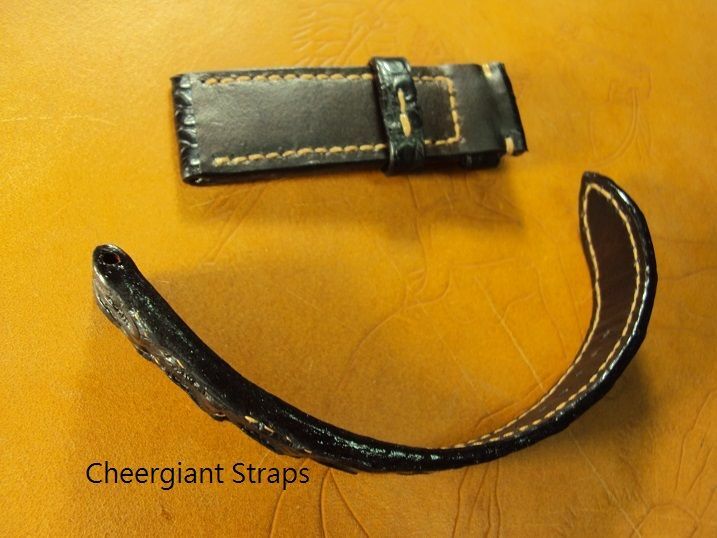 Svw695, JLC deployant clasp padded black crocodile strap, 20x16mm, 80x125mm, thick 4.5mm taper to 2.0mm, match stitching, brown calf lining. 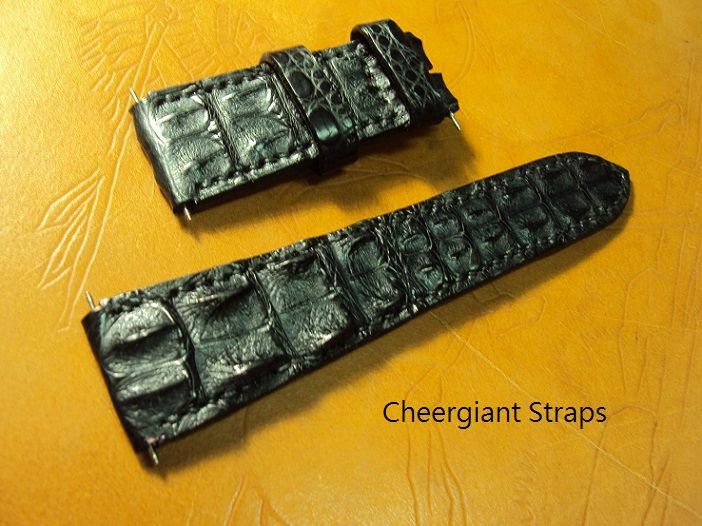 The padded crocodile belly strap is priced at $ 200 USD, now charges the promotional price at $ 150 USD. 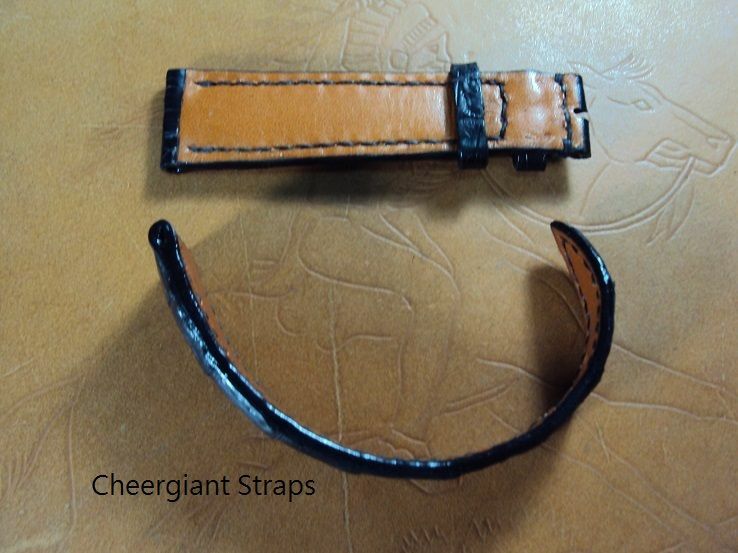 Shipping for worldwide Express Mail Service please plus extra $15 USD. 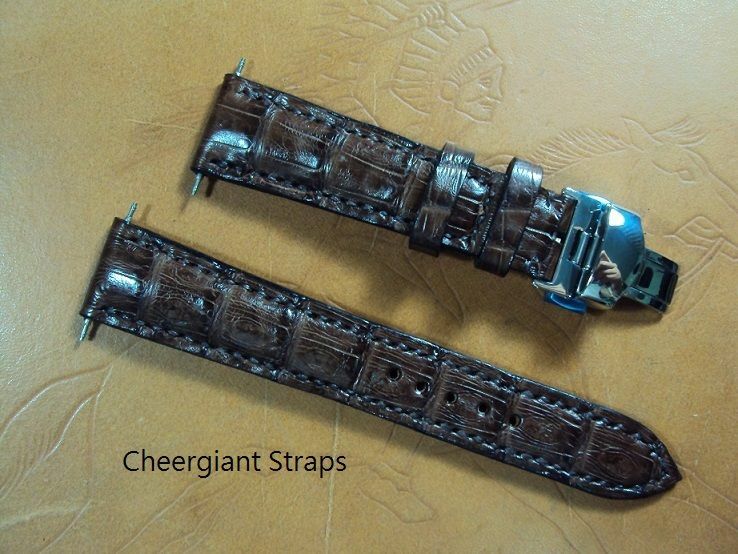 Svw696, JLC Reverso deployant clasp padded dark brown crocodile strap, 19x16mm, 70x115mm, thick 4.5mm taper to 2.5mm, match stitching, brown calf lining. 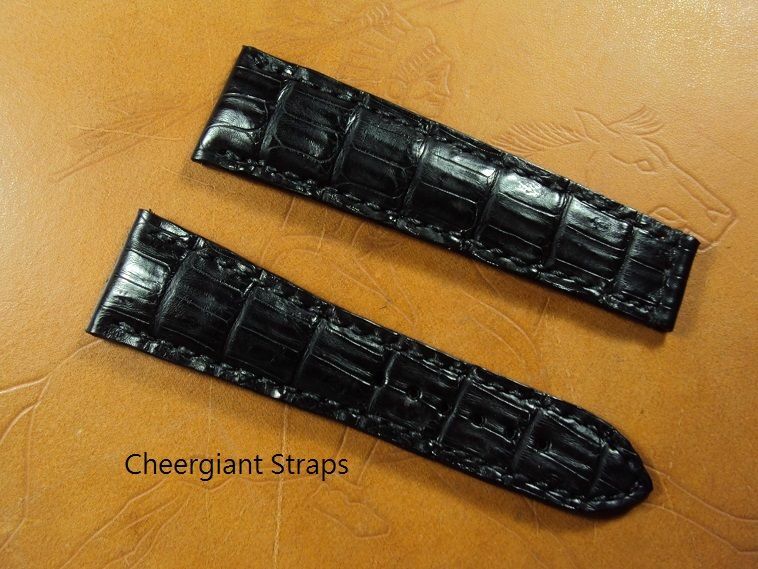 No including the replaced deployant clasp which is an optional item charges extra $ 15 USD. 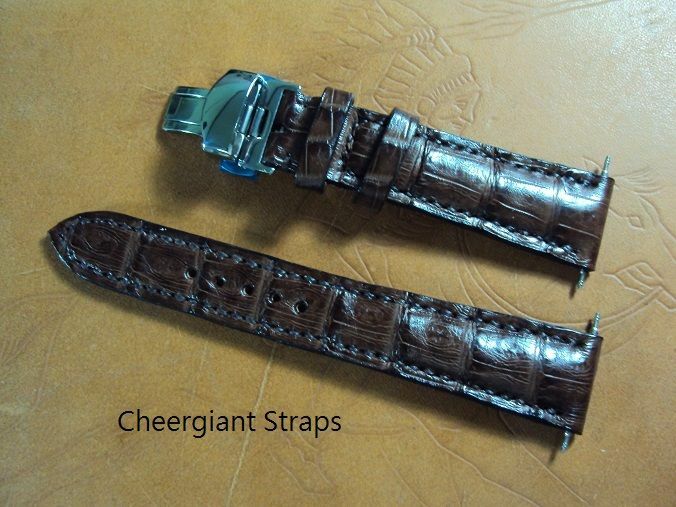 Svw697, Louis Erard dark brown big horn crocodile strap, 24(22)x20mm, 63x115mm, match stitch. 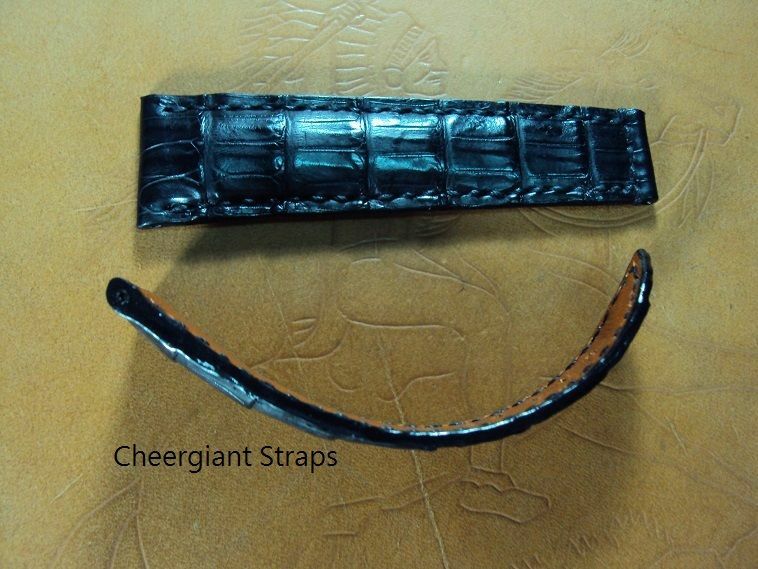 The big horn croco strap was made of some pieces of authentic leathers include the front big horn croco skin, the middle calf pad and the reverse side British calfskin lining. 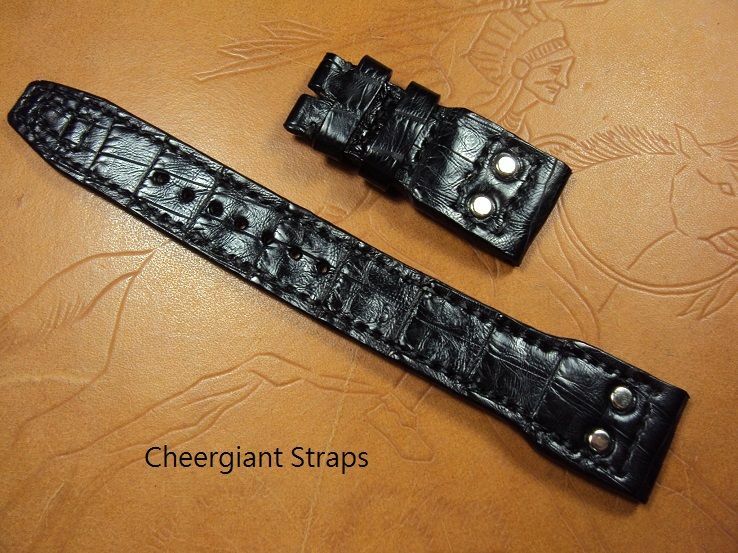 Svw698, Mido black big horn crocodile deployant strap, 22x20mm, 70x150mm, cream stitch. 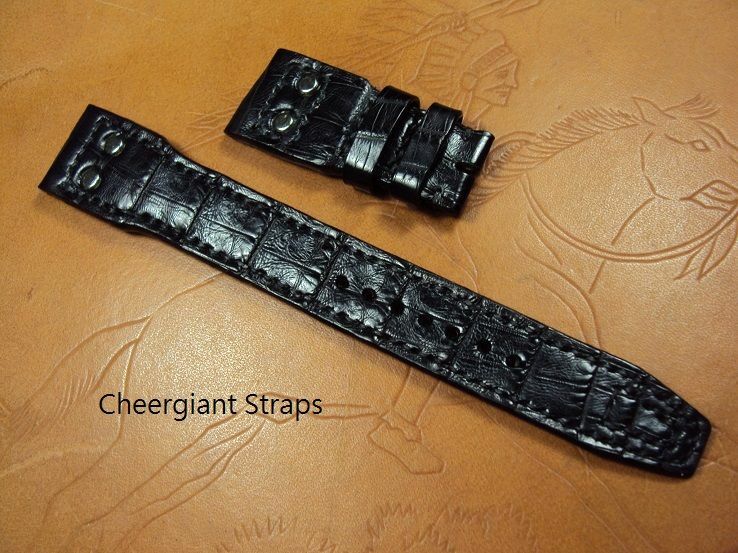 Svw699, OMEGA Railmaster XXL black padded crocodile strap, 24x18mm, 95x105mm, thick 4.5mm taper to 2.0mm, black stitching, brown calf lining.